Chicago police are looking to identify a possible suspect in the shooting death of a 17-year-old Northside College Prep student who was gunned down this week on the Northwest Side. 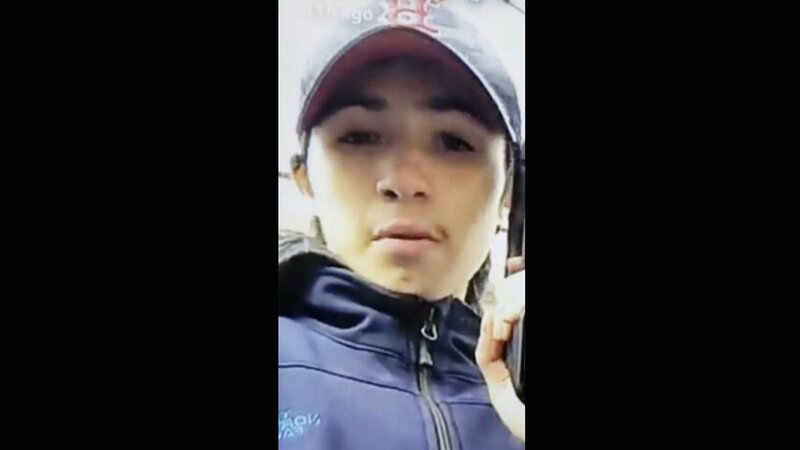 Authorities on Wednesday released photos of an offender they believe was involved in the fatal shooting of Emanuel Gallegos near another high school Monday evening in the Old Irving Park neighborhood. Gallegos was a passenger in a vehicle heading westbound on Addison Street just after 5:30 p.m. Monday when he and others were approached by a group of individuals around Schurz High School. That group began yelling “gang slogans” at Gallegos and others, according to police. The Chicago Tribune reports one of the individuals asked Gallegos what gang he belonged to, to which he responded none. At that point, police say three individuals, including the person seen in the photo, opened fire on the vehicle. Gallegos was struck in the neck and transported to Illinois Masonic Hospital, where he was pronounced dead. An autopsy report on Tuesday shows Gallegos died of multiple gunshot wounds and his death is classified as a homicide. Authorities believe the suspect is a male Hispanic with olive complexion and brown hair. He’s in his late teens, 5-foot-5 to 5-foot-8, and between 120-140 pounds. His name is reported to be “Luis,” but he also goes by the nicknames “CK” and “Goonie,” according to police. Polcie say he is known to frequent the area of Lockwood and Altgeld in the Belmont Cragin neighborhood. A GoFundMe seeking funds to assist Gallegos’ family with funeral expenses has already raised more than $22,000. “This gunman took a beautiful life, a life full of many great things that the future hold for him and others, a life who was beginning to flourish thanks to the up-growing of his family, a life that was here to help others, a life that will not be due to this coward gunman,” the fundraiser states. Anyone with information about the shooting or the suspect is asked to contact Area North detectives at 312-744-8261. Anonymous tips may also be submitted at www.cpdtip.com.